Sound the klaxons another ‘superfood’ has arrived! But what is yuzu and what do you ‘yuzu’ it for? We’ll show you how to enjoy this great citrus that has been loved in Japan for centuries and the real facts behind the hype. 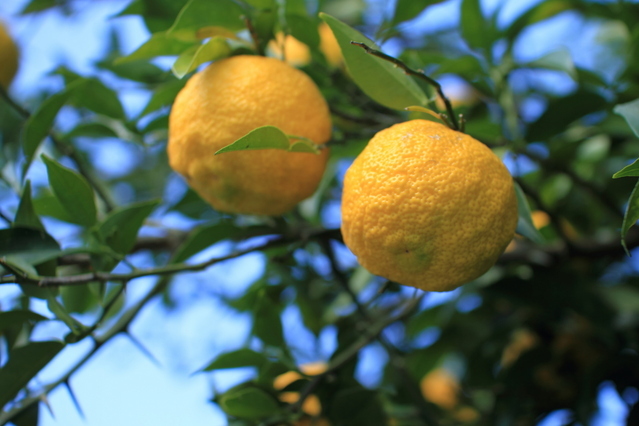 So join us as we … discover yuzu! The Daily Mail called yuzu the ‘taste of 2014’, but this aromatic citrus fruit has been enjoyed in Japan for many, many years. Tasting a bit like a cross between a grapefruit and a mandarin, its got a really tough skin and aromatic smell. Yuzu is in season during winter, which makes it a favourite cold remedy. Yuzu actually contains 3 times as much Vitamin C per 100g as lemons, so even if it doesn’t cure your cold you may still end up healthier! Okay so you’ve got some yuzu, what on earth do you do with it? 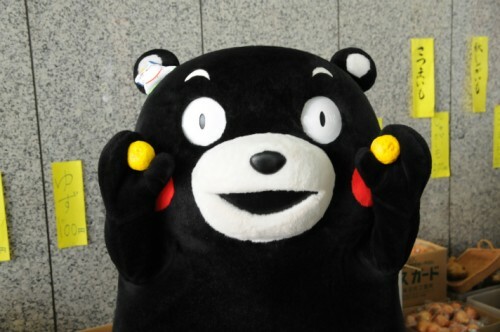 Well, for starters if you do get hold of a whole yuzu, don’t stick your teeth straight in! A little yuzu goes a long way, and unlike a mikan tangerine, it’s a bit too sour for most people to want to dig in with no-prep. Yuzu is usually prepared as an accent juice or peel or preserved as a sweet or liqueur. Any traditional citrus pud will be made 10x better with a bit of yuzu. Don’t believe us? Try our yuzu sorbet or yuzu macarons recipes. Yuzu is an incredibly popular addition to cocktails in Japan. Whether you use a little bit of yuzu juice to add a touch of sour to or enjoy some yuzu liqueur on the rocks, it’s not to be missed. You could even use some yuzu salt for your margaritas! Yuzu juice can also be fantastic in dressings. Its light and refreshing tang makes it great on both vegetables and meat, and adds a really summery touch to dishes lacking a bit of pizzazz. Ok, so we’re going to let you in on a little secret that even fancy food columnists don’t seem to have cottoned on to – yuzu kosho. 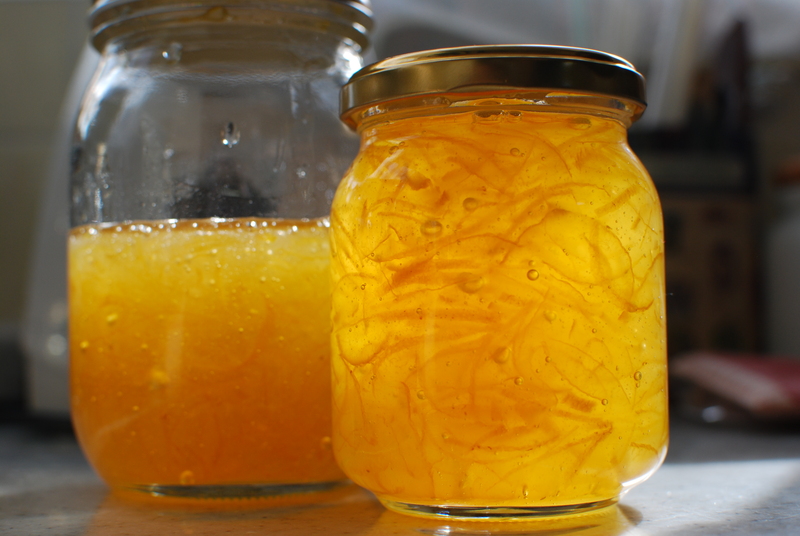 Made from yuzu peel and pepper (chilli that is, regardless of what the internet may tell you!) Yuzu kosho is salty, citrusy and with a refreshingly peppery bite. You can mix it into dressings and sauces, use as a marinade for meats, you can even pop some on your ramen! If we could only have one condiment (including Kewpie!) this would be it. Yuzu’s not just great for eating, you can put it in your bath too! Yuzu releases its oil containing nomilin, believed to have a wide range of health benefits, when placed in the warm water. Plus it smells pretty amazing too. Taking a yuzu bath is also supposed to give you wealth and good health too… hopefully so you can take many more yuzu baths! Can’t make up your mind about how you like your yuzu? Don’t worry we’ve gathered together the best of all things yuzu in our special Mad About Yuzu set! If you’re already a yuzu aficionado, check out all the cool yuzu products in our special yuzu category. Thanks to dreamcat115 at Flickr for the yuzu tea image. 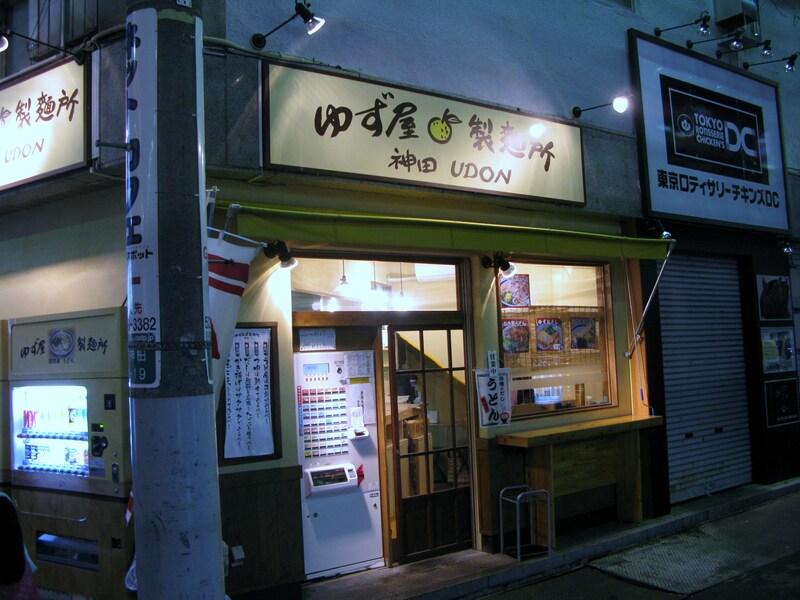 Thanks to sun_summer at Flickr for udon restaurant image. Posted in Food and tagged cooking, spotlight, super food. Bookmark the permalink.